The primary goal of a Hadoop Developer is to prepare programs for Hadoop applications. Works of Big Data Developer is similar to that of a software developer, but Big Data Developer works on the big data domain. Here, Hadoop developer owns the data which makes them familiar with the data and helps them to solve the significant data problems. Roles and responsibilities of a Big Data Hadoop developer are to work with the data, perform the transformation, decodes the data and finally to make sure whether the data remains the same without any destruction. Firstly the developers should come away from their comfort zone, adapt to all the situations and should be able to solve the issues quickly. As a Hadoop developer, the person must be aware of all the known and unknown programs. It is mandatory for the developers to refresh all their skills and the topics they learned. The best thing is to refresh and restore all the math skills, statistics and the data’s, information useful for developing. 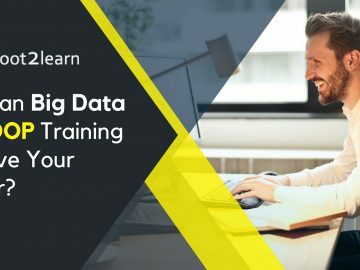 As a Big Data Hadoop developer, it is necessary to own the data, because only the developer can find the aspects like what is inside the data, what the data is about and what to find. The developer can play with the data, transform them and decode them. But they can’t easily destroy the data. Also, they have to maintain a good relationship with others in every department where those friends help you to improve your skills in any of the ways. The developer can learn lots of techniques and technologies by various training and software. Apache Spark is one of that software which helps to innovate and learn new aspects and find new ways of solving the issues. Developers can attain the most beneficial output when they are precise and perfect in their results. Tools like D3.js helps in envisaging the data before any crunch or issue in Hadoop. This helps to make the data more accurate and gives a perfect infographics. As a developer, you have to develop more applications and work on more programs. The person has to collect the data, process those data’s, and finally, they have to analyze it. Since it is a match from one player only the developer takes all the responsibilities. To make a clear and noteworthy point, the developers can think out of the box. Instead of doing the repeated programs and applications with the same concept, they can come out with different ideas, concepts, and techniques which makes them more comfortable and precise in their results. 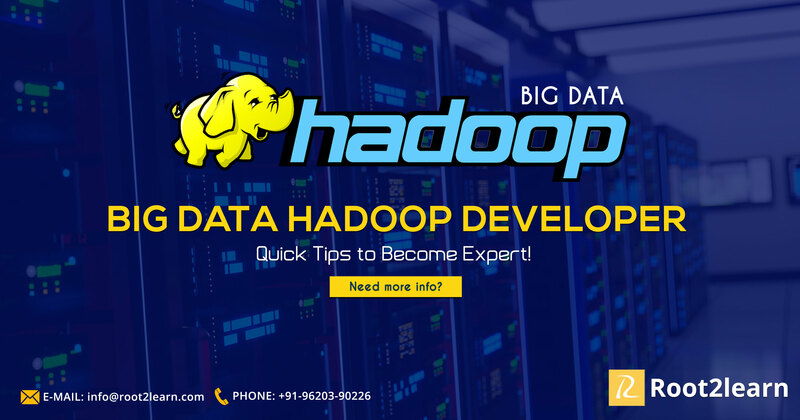 The above mentioned are few of the steps which help the person to become a Big Data Hadoop Developer and work on a big Domain. The person has to follow all these aspects to work and succeed as Big Data Developer easily and quickly.